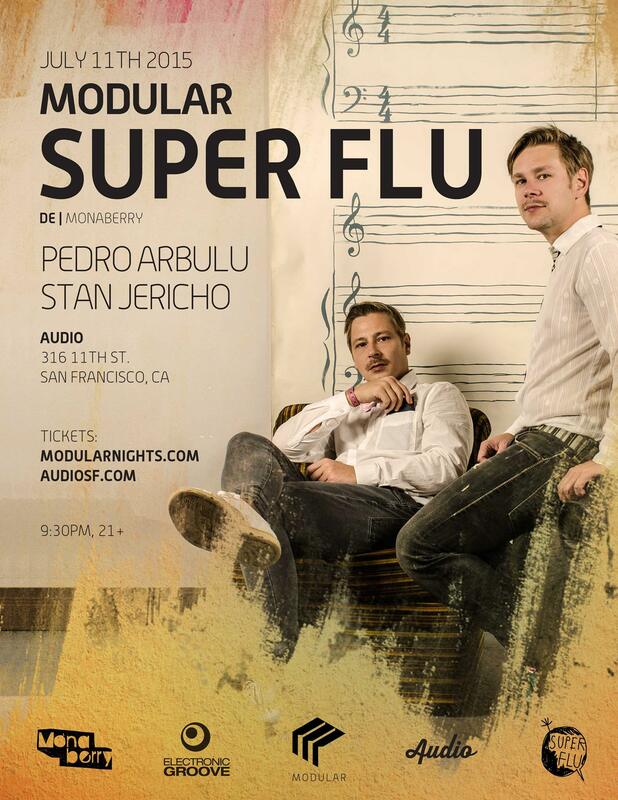 Feliks Thielemann & Mathias Schwarz – that´s Super Flu!!! Welcome to a world where crispy baked bass drums give the keynote, where Momratzn twitch to tweaking hi-hats and speech bubbles wave engaging basses to you!Do you falter on making a tough decision? Super Flu recommend you garlic bread rolls and 6-minute-boiled eggs!Is your equipment rubbish? Trust your intuition, tickle the max out of the old stuff and squeeze inspiration out of everything you can lay your hands on!Are you lacking ideas? Take your cockatoo’s advice! Go on vacation and have some beer. Try, (you know, doing something you’d never do otherwise). Listen to Jazz. Tinker whatever comes to your mind using funny snack bar names, exotic instruments and kid’s toys.Now with your best mate and at least one mutual favourite bakery, lots of Herzblut and a great Traum behind, nothing can harm you anymore…!